The one thing I love is a quick and easy dishcloth pattern I can work up in between projects; well, in this case, it is the project I can work up quickly to help me get a little of my crojo back. Sometimes, you just need something simple, not lacking in the fancy factor however! Now, I know it’s stretching it to call a dishcloth fancy, but the pattern itself is so simple and you end up with a very pretty finish, and working up something on a smaller scale can sometimes inspire an even bigger project. I honestly am not going into a song and dance about how I come up with the names for my patterns. Many things I see, others will not, but at the end of the day, as long as you are happy with the end result, THAT is what makes my day! This pattern is one of my Power Hour projects because you can make multiple dishcloths in less than an hour… THAT QUICK!!! THAT EASY!!! So now, I introduce to you, the Spritz Cookie Dishcloth pattern, I hope you enjoy your work up and of course, I thank you so much, for your interest in my patterns! Happy Yarning Friends! J hook – 6mm was used in video. 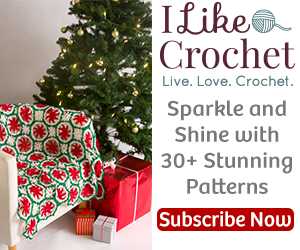 Sc – Single crochet – Insert hook into stitch, yarn over and draw through a loop. Yarn over once more and draw through both loops on hook. Sc 2 Together – Insert hook into stitch, yarn over and draw through a loop, insert hook directly into next stitch, yarn over and draw through a loop, Yarn over once more and draw through all 3 loops on hook. This pattern is worked in multiples of 4. After determining your desired size, add 1 for turning chain. Repeat rows 4 and 5 until you have the length you desire. End your pattern with a row of sc to match the start of your dishcloth. FUN SUGGESTIONS FOR THIS PATTERN! I really hope you enjoyed working this pattern! It was such a quick and no-brainer pattern, I couldn’t help but make several to replace some older raggedy cloths I’ve had in my kitchen for a while now. You could easily make multiple cloths in less than an hour! It’s that quick. I also feel this is the perfect beginner pattern. Although the 2 together isn’t exactly your basic beginner stitch, it is just too easy to pick up and run with. Make sure if you have any questions at all to take a look at the video tutorial linked above. Please also keep in mind, the video was created for a beginner crocheter so if you are someone with enough crochet knowledge, be forewarned, I teach this pattern at a beginner level to help with all aspects of the pattern process. I answer all comments on videos so make sure if you have a question you post it or go into our Facebook group and tag me (Colleen Hays). I will do my very best to help! I would love to see your dishcloths or any of your other creations! Come join us over at YarnWars on Facebook or Like our YarnWars Facebook Page and tag me (Colleen Hays) so I can check it out! Subscribe to my YouTube channel! You’ll be the first to know when a new YarnWars pattern video is released! I created this pattern to be offered free to my yarn crafting friends near and far. This includes anyone with a passion for yarn in whatever medium, crochet, knit, loom and more. Whatever you wish to do, be it sell or gift your final workup of this pattern, you are welcome to do so, I just ask that you try to give a small credit in some way to YarnWars for the design. Please do not distribute copies of this pattern instead, please refer others to YarnWars.com website to pick up their own free copy. Referring others to my website is what enables me to continue creating free patterns for the community and offering venues for yarn-tistas to come together. All of my patterns are also available for download in the Files tab of our YarnWars Facebook group. Have an amazing day & happy yarning, my friends! I am thinking I would like to crochet the squares but would like to make a blanket as you suggested. Do you have an idea how much yarn I need to purchase for a blanket? I am thinking I would like to use multiple colors.